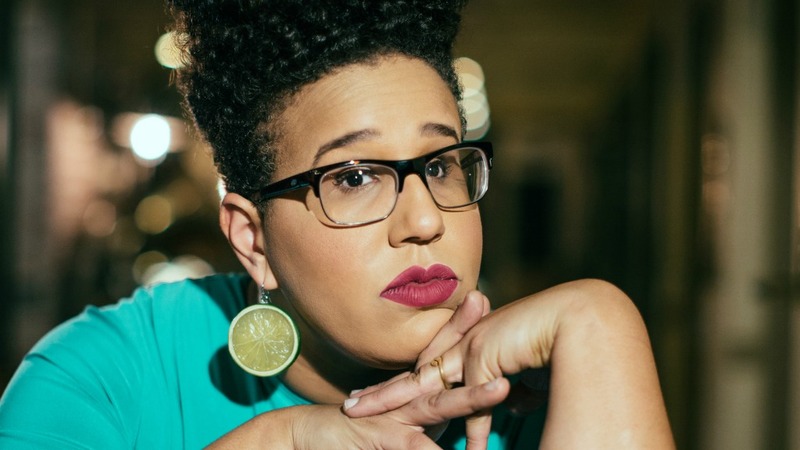 Brittany Howard isn't even 30 yet, but the dynamic singer and guitarist already has multiple musical lives on her résumé: leading the Grammy-winning Alabama Shakes, her punk-blues side project Thunderbitch, and lately, the Nashville-sparked trio Bermuda Triangle, shared with friends and fellow vocalists Jesse Lafser and Becca Mancari. While Howard's volcanic voice is what first turned heads discovering Alabama Shakes' life-affirming Southern shakedown of rock and soul, her tender side is a revelation too, as on Bermuda Triangle's bossa nova-splashed 2017 single, "Suzanne." As Howard travels her own bold, unconventional path as a versatile musician (and nascent activist, speaking out on recent challenges to the LGBT community in North Carolina), she has found solace and motivation in the songs of one of her most beloved influences, Nina Simone. When FUV asked Howard if she might write about her "Five Essential Nina Simone Songs," she responded with a rich list of choices that includes Simone's striking covers of tracks by Bob Dylan and Janis Ian. This performance is hands down my favorite live performance I’ve ever seen of hers. It’s so captivating watching her channel her emotions into these words. It’s like witnessing someone’s greatest want. I think everyone can relate to that. We all want to be free of something. Another song Nina performed that night in her set at Montreux Jazz festival. Janis Ian penned this song and I know Nina was singing it from personal experience. It was during a time she felt abandoned by fame and this song was all about the cycle of stardom: burning bright, burning slow, coming up and being forgotten. She performed it as if it was her very own story. And by the time she hit the grandiose swell that was the ending of this song, I couldn’t help but understand her loneliness and anger more deeply. This song appears on my favorite record of hers: To Love Somebody. It’s hard to choose a favorite. Also, it’s my favorite band lineup. All the songs have the tightest pockets and the funkiest rhythms. But, I loved how she interprets Bob Dylan’s songs. She took this sad song of pining for freedom and spun it into a buoyant shuffle. It makes you wanna cry and dance. I love songs like that. I am so moved by the hopefulness that her voice commands. I truly believe good always overcomes darkness. This song reminds me to remain positive when our world seems so far gone. And this performance inspires me to believe there are more of us that truly want to introduce more peace and joy into the world. I feel far less idealistic and crazy after I listen to it. When Nina performs there is so much power in her being present. This song is delicate, poignant and heartbreaking. I was completely devoured the first time I heard this while driving through the California redwoods and I am captivated every time I’ve heard it since. Probably because she was feeling this kind of way while tracking it, although I can’t be sure of that. Sure, there are larger and more popular songs from Wild is the Wind, but I’d hate for this track to be overlooked. It’s underrated and I’m glad I get to share it.